Last week we told you about third-party addon, DVBSBridge that has bridged the Windows 7 Media Center with the Hauppauge HD-PVR component tuning device. While that news was exciting and welcomed by the Media Center enthusiast crowd the details on actually getting it to work - especially on North America Media Center setups was sketchy at best. Today an update to the add-on answers some of those questions. The Hauppauge HD-PVR allows you to view and record all channels from a cable/satellite box whether encrypted or not since it uses the analog hole. Great news for Media Center users because it provides an option for the masses to add HD and digital content to their media center PC even if it's not OEM. Today, the DVBSBridge team released a new version with some significant improvements. "I got it working quite well and streaming to my XBOX 360. It was a nice treat to be able to watch live HD TV and be able to pause and ffwd. It actually seems to perform better streaming to the XBOX then it did on the MCE machine itself. Oh, and it was via wireless! I was hoping someone tried it on a DMA2100/2200 to see if it works as well. 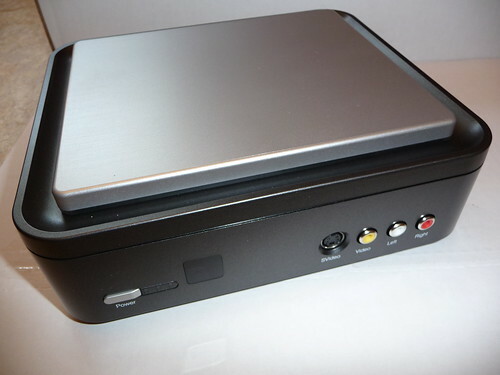 Once the EPG issue is sorted out this appears to be a totally viable HD PVR solution." So it looks like this will work on at least some extenders (XBox360 at least) and could be a nice solution for many Media Center users at least until Microsoft brings official support for the Hauppauge HD-PVR. Not an integrated solution - requires a third-party add-on and some extra work to get this to work. EPG (Guide) support requires the use of XMLTV. Bottom line, this is a hack and you'll be dealing with third-party support that may or may not be sanctioned by Microsoft. It won't be as easy to set up on your Media Center computers as your other tuners.